We check over 450 stores daily and we last saw this product for $689 at MATCHESFASHION.COM. With the same colour palette as the label's iconic patchwork dress, this necklace captures marni's affinity with abstract art. 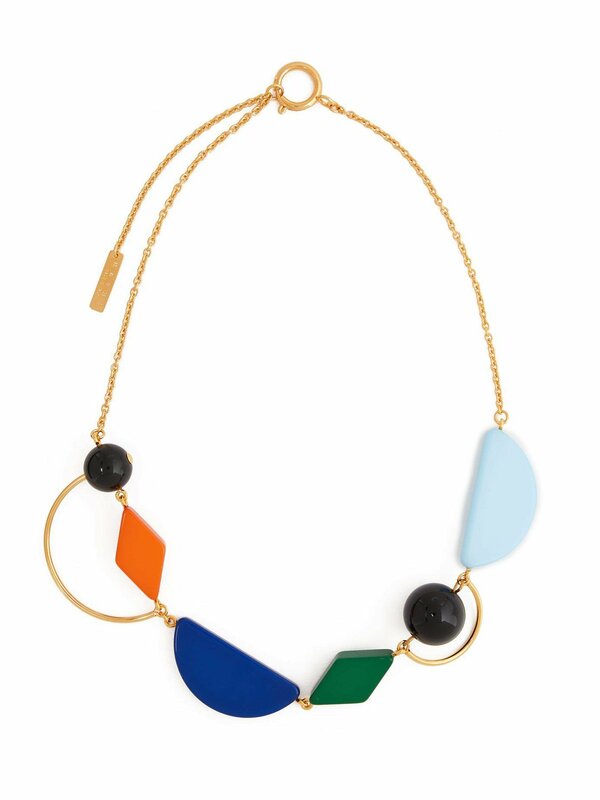 The statement piece is made in italy using a mixture of geometric shapes — one orange, one blue, one green and one light blue — as well as gold-tone metal semicircles. Style it over a bright blouse for a vibrant finish.